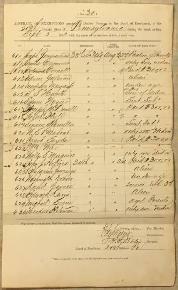 how to order repair parts for the Springfield Rifle Muskets. .58 cal. cartridges used in practice firing and guard duty. Signed by Lt. Gilbert and is in Very Good Condition. 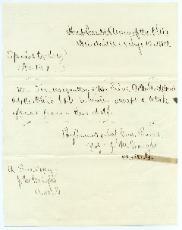 64TH OHIO INFANTRY - Handwritten Special Orders No. 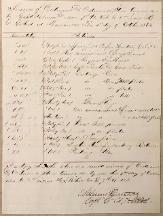 Philadelphia by hospital Surgeon and a V.R.C. 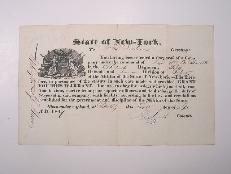 separation of paper at folds for about 1/2" from edges..
State of New York pertaining to military regiments. 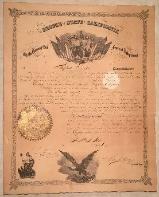 Guarantee Dated August, 1863 - Shelbyville, Tennessee. consideration and respect by Union forces. Very good condition. lined blouses, Paris booters (don't ask), boots and haversacks. 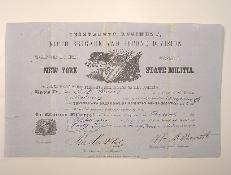 All for use by the 2nd Minnesota Infantry. Very good condition. 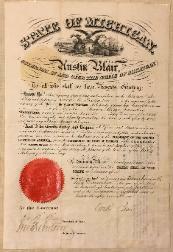 2nd MINNESOTA INFANTRY DOCUMENT - Approx. 7 3/4" x 9 5/8"
tents that were destroyed while stored at Manchester, Tennessee. mounted in a Rhode Island related scrapbook. Good condition. but not bad. Fair condition. 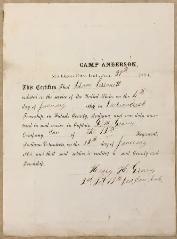 paper and filled in Indenture between Capt. F.W. Dillard A.Q.M. 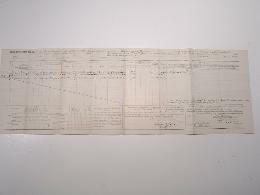 the reverse side). 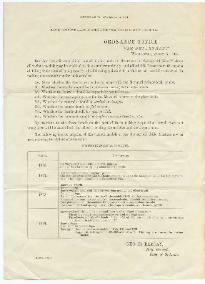 Interesting document. Fair condition. 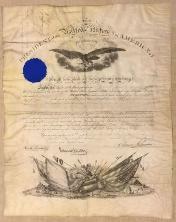 1865 CALIFORNIA MILITARY COMMISSION - Approx 15 7/8"
x 19 5/8" rarely seen as they had so few troops in the military. 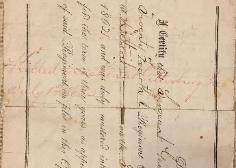 the entire document although in that area it does feel embossed. board. Edges have been trimmed. 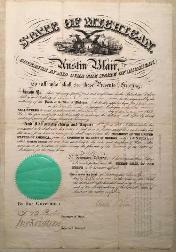 State Seal intact, signed by Governor Austin Blair for Capt. separations at edges of the folds but otherwise in VGC. the typeset. Has folds and some staining. Bravos Santiago, Texas until the expiration of service. 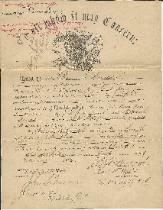 Document is in good condition and is signed by Bvt. Brig. 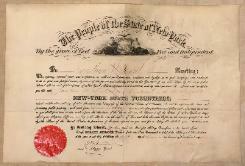 retains the State Seal - good looking document. 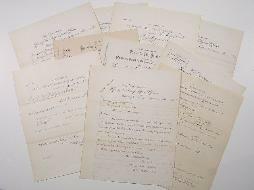 for Simon Dorr and hand signed by Capt. 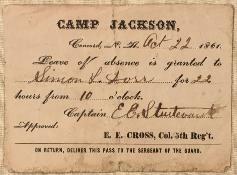 Edward E.
in the Battle of Franklin with minor casualties. folded and in the bottom of his baggage for a while. 19TH MISSOURI INFANTRY / 13TH U.S. 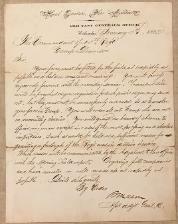 BRIGADE) CAPTAIN'S COMMISSION - JACOB O.
intact, signed by Governor Austin Blair for Capt. 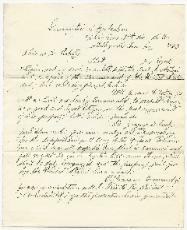 Jacob O.
Probasco, dated December 10, 1864. 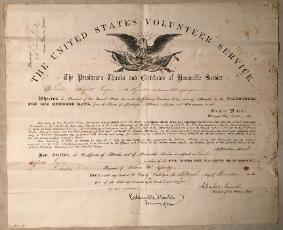 Probasco enlisted into Co.
Front Royal among numerous others. VGC. CITY - Approx. 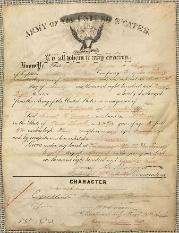 5 7/8" x 7 5/8" Certificate of Enlistment for Pvt. 3" separation on the middle fold but otherwise is in good condition. 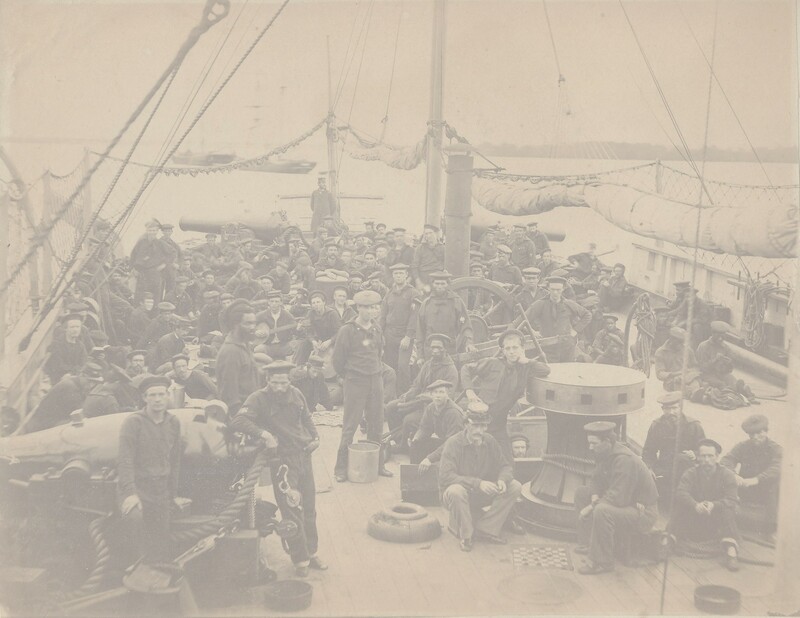 48TH OHIO INFANTRY - CAMP DENNISON - 1862 - Approx. 8"
Commandant of the 48th OVI at Camp Dennison, Columbus, Oh. separation on folds but otherwise is in good condition.